The Basic Plan consists of up to 2 hours of instruction per week. These can be back-to-back classes or taken on different days. 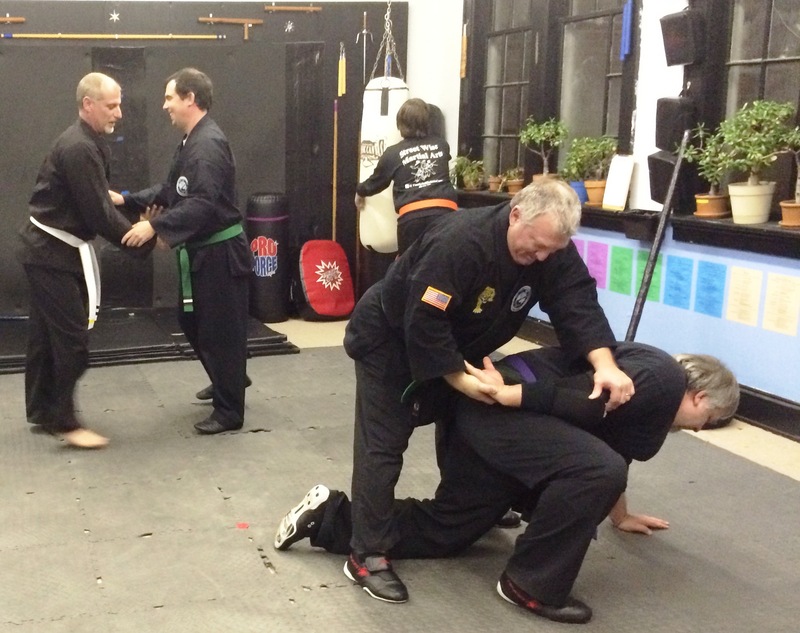 Classes can be mixed & matched between Combat Kempo & Ju Jutsu, T’ai Chi Gong, Weapons Training, and/or Basic Self Defense at any time. Take note, FSDC of Hickory has more regularly scheduled hours of instruction available to adults than any other studio in the Unifour. Your tuition is due based on your enrollment date. For example: Should you enroll and begin class on the 18th of the month, your tuition will be due on the 18th of every month. As long as your tuition is kept up to date ... your rate is Locked-In for Life. FSDC of Hickory uses No Contracts. We do not use price variation gimmicks to get your bank information. It is up to you to make it to class. Failure to make it to class does not mean you can extend your Tuition Due Date. •	Family Plan members are not required to attend same classes on same day. We offer Special Discounts for Senior Citizens (65 +), U.S. Military Veterans/Active Duty, Law Enforcement. •	Bring your DD 214: showing Honorable Discharge or Discharge under Honorable Conditions. Family Self Defense Center of Hickory, NC offers your choice of Martial Arts Training in MMA (Mixed Martial Arts), Combat Kempo, Kung Fu, Injukan Ju Jutsu, Tanbo Jutsu, Stick and Staff Fighting, Chinese Kick-Boxing, Ryu-Kyu Karate, Kizoku-Ryu Tai Jutsu, use of Knife and Sword, Women’s Kick-Boxing and Self Defense, Jiu Ling Kung Fu and T'ai Chi Gong, and more for one affordable price. Classes are in Brookford and within easy access of Granite Falls, Hudson, Lenoir, Morganton, Valdese, Vale, Gastonia, Maiden, Newton, Conover, Catawba, Statesville, and Taylorsville. Also available: Certified Personal Strength, Health & Fitness Training. © 2004 - 2016 by J Patrick Nelson, MhD, all rights reserved. No part of this site, pictures, or logos may be duplicated in any way without express permission of the publisher. The American Nine Lotus logo, FSDC logo, artwork of the Fighting Family, 9L symbol and the names Kizoku-Ryu, Injukan, Injo-Ryu and Jiu Ling are Copy Written Trademarks of the Kizoku-Ryu Kai, Hickory, NC. Member of the American Nine Lotus Association.